Campaign A founding member of Fathers 4 Justice has written a book about his ‘battle’ to see his children following the break-up of his marriage.Father-of-three Mark Harris, who lives in Plympton, clocked up a massive 133 court appearances and went before 33 different judges as he tried to gain access to his daughters over a 10 year period. At the time he was accused by a High Court judge of being an “unprincipled charlatan” who had brought about the estrangement of his daughters through his own “obstinacy” and “blindness”.But Mark, who is 48, refused to give up hope, and was even jailed twice for contempt of court, serving 129 days in total. Mark was reunited with his daughters in 2003 after his eldest and youngest arrived at his home with bags packed following an argument with their mother. He called the High Court hotline where a judge spoke with both girls “for a matter of minutes” before faxing over a temporary residency order. In court the following week, every previous court order was set aside. “It took ten minutes to put right and end ten years of injustice,” says Mark, who still lives with his two daughters and sees the third regularly. 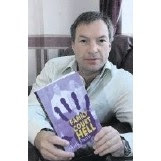 Mark and his eldest daughter Lisa, aged 16, have now written a book about their experiences, called Family Court Hell. Recently published, the book aims to highlight what Mark sees as institutionalised discrimination against divorced fathers. Family Court Hell is available online through Amazon.